… without the shedding of blood, there can be no forgiveness of sins. So there we go! The blood of Jesus is important – necessary even – for the forgiveness of sins. End of story. The question is answered. The post stops here. For example, I forgive people all the time without requiring that they shed blood for me. And I’m really glad that people forgive me all the time without asking that I open a vein or kill my cat for them. So if I can offer forgiveness without the shedding of blood, and so can other people, what is going on with God? Doesn’t He freely forgive (Col 3:13)? Since when are there conditions for unconditional love, grace, mercy, and forgiveness? Is God’s forgiveness of a lesser sort than ours? Or maybe His forgiveness is of a more powerful type of forgiveness that requires blood? And if God’s forgiveness is greater and so requires blood, then my next question is, “Why blood?” I mean, if God is the one making the rules, and sin is a serious affront to His holiness, then why did He decide that blood would appease Him? Why not require … I don’t know … spit? Or hair? Yes, I like the hair idea. What’s the deal with blood? It’s because the life is the blood. That’s from Leviticus 17:11. In the Bible. And since we have a verse, the discussion is over. But wait! That’s no answer. The question still stands. So okay, God wants blood, and it has something to do with the life of a person being in the blood. But God makes the rules, so why did He decide He wanted blood? Why does God want to kill people (or animals in the place of people) because people sin? In fact, come to think of it, the issue isn’t with blood any more. The issue now is with God. Why does God want blood? I could follow this line of reasoning further, but I think you get the point. In fact, some of that conversation might sound very similar to conversations you have had with atheists. At least, much of what I wrote above echoes conversations I have had with atheists. Atheists are atheists for a variety of reasons, but some of them have real issues with a god who demands blood so that He can forgive sins. God doesn’t want blood. God wants life! It is WE who think that God wants blood (when He doesn’t). The idea of God demanding blood is borrowed from pagan religions. Jesus went to the cross, not to reinforce and support this idea, but to expose and redeem it. That’s a huge idea which would take us down a whole new rabbit trail. But if God doesn’t demand blood, then how does God forgive? 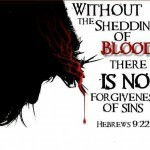 Doesn’t Hebrews 9:22 teach that God needs blood in order to forgive us? No, it does not. Let us read carefully what Hebrews 9:22 says in context. The first thing to notice about the context of Hebrews 9:22 is that the author is clearly contrasting the sacrificial system of the Mosaic Law with what Jesus accomplished in His death on the cross. One way to note this is by looking back to Hebrews 9:15, which is the opening statement in the larger context of this discussion about sacrifice and blood. In Hebrews 9:15, the author writes about the “redemption of the transgressions.” The word used there is not the normal word for “sin” in the NT, but is parabaino (STR: 3847), and means to overstep or go beyond the boundaries. The TDNT says that parabaino is closely connected with sin in the New Testament, but primarily in the sense of using human tradition to disobey the law of God while claiming to be the fulfillment of the law. In other words, parabaino takes place when someone tries to explain and apply the law of God, but actually ends up doing the exact opposite of what the law says. The author of Hebrews indicates that Jesus came to redeem sin, that is, to redeem the parabaino type of sin. More specifically still, Jesus came to redeem the sin of misusing the law. It is this issue that concerns the author of Hebrews. If we went back to read the Levitical law, we would see that purification and forgiveness was extended under a variety of circumstances, including the washing with water (Lev 15:16-17; 17:15), anointing with oil (Lev 14:29), burning flour (Lev 5:11-13), giving money (Exod 30:11-16), or releasing an animal into the wild (Lev 16:10). And in fact, when it comes to intentional sins, there was no offering of any kind which was prescribed by the law. All the sacrifices and offerings of the law are for unintentional sins only. This means that when an Israelite sinned intentionally (as they most certainly did, just as we do), the only way they could receive forgiveness from God was to look to Him for it in faith (just like us)! The author of Hebrews knows all this, which is why he says that almost all things are purified by blood. Of course, even this requires further modification, for it is not true that almost all things required blood for purification. A quick reading of the Law reveals that most things did not require blood. So what does the author of Hebrews mean? The context indicates that the author specifically has in mind the tabernacle and the religious items within the tabernacle (Hebrews 9:21). The author is talking about the initial dedication ceremony of the first tabernacle built by Moses. This purification and dedication ceremony initiated the Mosaic Covenant (Hebrews 9:18-19). So the author of Hebrews is not giving a general principle in Hebrews 9:22 for how we receive forgiveness of sins, but is instead referring to how the covenant of Moses was initiated by blood. No, Hebrews 9:22 specifically states that this these things are “according to the law.” Of course, those of us who hold to the inspiration and inerrancy of Scripture don’t see much difference between something the law stated and something God stated, and yet we must be careful because numerous Old Testament prophets emphatically declared that God is not the one who gave the law or commanded that the people offer sacrifices, and He was not pleased with these sorts of religious rituals, nor did He ever want them (cf. Jer 7:21-23; Amos 5:21-24; Micah 6:6-8). This is the same point the author of Hebrews makes in 10:5-6. Reconciling the words of these inspired prophets with the modern understanding of inspiration and inerrancy is a difficult task indeed. I have a way that works for me, but again, to travel down that rabbit trail would take us too far afield. But however we understand that thorny issue, we can all agree that in Hebrews 9:22, the author is simply contrasting how the law inaugurated the Mosaic Covenant with how Jesus inaugurated the New Covenant. 5. The Shedding of Blood Never Brought Forgiveness! In light of this contrast, notice fifthly, that the author of Hebrews deftly shows how the Mosaic covenant, with all its bloody sacrifices, was never able to accomplish what it promised. The author of Hebrews points out that it is “impossible for the blood of bulls and goats to take away sins” (Hebrews 10:4). Though it was the law that promised the forgiveness of sins through blood sacrifices, the simple fact that the law required perpetual sacrifices revealed that the law could not deliver what it promised. Nobody was ever actually forgiven through the blood of a sacrifice! 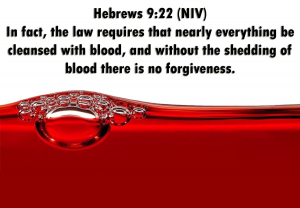 So according to the author of Hebrews, though the law required blood for forgiveness, blood didn’t provide any forgiveness! The law didn’t work! This leads to a sixth point about Hebrews 9:22 which should not be missed. But Hebrews 9:22 does not include those final two words. Hebrews 9:22 says nothing about sin. Yes, sin is mentioned in Hebrews 9:26-28, but only in reference to the sacrifice of Jesus. The first time the author references sin in connection to the sacrificial blood of the Mosaic covenant is in Hebrews 10:4, where, as we have just seen, the only connection between sin and blood is that sin cannot be taken away by the blood of bulls and goats. 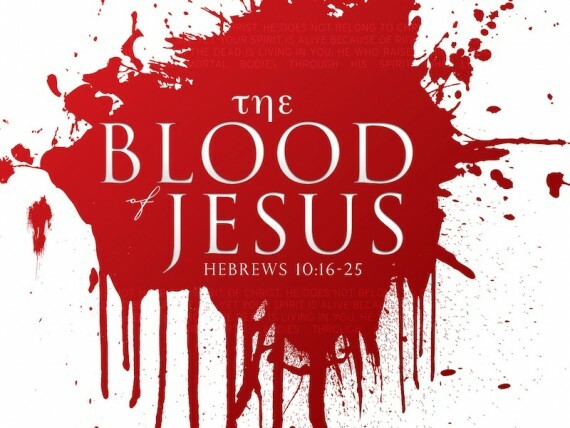 So what is the blood for in Hebrews 9:22? Again, as we saw above, it was for the purification of the tabernacle and its vessels when Moses inaugurated the first covenant. Modern western Christians are so infatuated with sin, that we see sin everywhere and believe that our biggest problem in the world is sin and that God is sitting in heaven trying to figure out how to stop us all from sinning. I believe that nothing could be further from the truth. God is not nearly as concerned with sin as we are. Before the majesty of God’s holiness and love, all the sin of the world is little more than an annoying flea jumping around on the ground by his foot. Sin is not that big of a deal for God. The only reason He is concerned at all about sin is because sin hurts and damages us, and since He loves us beyond all imagination, He wants to do something about that annoying flea, because it has bitten us and injected us with all sorts of harmful toxins. Also, God must do something about sin because sin is a big deal for Satan, and Satan uses sin to lay claim to our lives, which is something God does not want. But this too is another rabbit trail which we must avoid for now. The bottom line is that sin is not a big deal for God, and sin is not the issue in Hebrews 9:22. But what about the word “forgiveness” in Hebrews 9:22? Doesn’t that indicate that sin is the issue? No, it does not. This is the seventh point about this important text. It has in mind the picture of someone who is enslaved and in chains, and someone else come along with the key to unlock them and set them free. I have written previously about aphesis. In Scripture, we are freely forgiven of all our sins, past, present, and future, completely and only by the grace of God. We are, however, called upon to obey God so that we might enjoy the freedom from sin that He wants for us. Sin injects us with toxins that further enslave us, which God wants to liberate us from. This sort of release often requires something on the part of the one who is being released, lest they fall right back into slavery after having been released! In this way, aphesis is a symbiotic forgiveness. It not only requires that the liberator unlock the chains; it also requires that the liberated run away from what had chained them. In Hebrews 9, it is not people who are being released, but the covenant itself! This eighth point is that the blood of Hebrews 9:22 has absolutely nothing to do with the removal of sin. Instead, the blood was for the enactment of the Mosaic Covenant. The author of Hebrews could not be more clear. He says that a testament, or will, is not put into effect until the one who wrote it dies (Hebrews 9:16-17). My wife and I have Wills, and as is the case with all Wills, they do not go into effect until we die. A “Last Will and Testament” has no power while we live. So after Moses wrote the Covenant, or the testament, he enacted a death over it to make it effective and active upon the people (Hebrews 9:19-21). Whose “Last Will and Testament” was this? It was God’s! It was God’s covenant to the people. But since God Himself could not come down to die and so enact the covenant, Moses symbolized the death of God with “the blood of calves and goats, with water, scarlet wool, and hyssop” (Hebrews 9:19). The “release” in Hebrews 9:22 then, is the release of the covenant. Prior to the shedding of the blood of the bulls and goats, the covenant was not active. It was under lock and key. A death was needed to free it, liberate it, or enact it. And since God was the “testator” (Hebrews 9:16), but God could not die, Moses killed calves and goats to symbolize the death of God, and in so doing, enacted the covenant of God with His people, Israel. It has nothing whatsoever to do with sin. Nor does Hebrews 9:22 have anything with the conditions of forgiveness, for as we have seen above, the covenant offered numerous ways for people to receive purification from sin, and when it came to forgiveness for intentional sins, the Israelites believed on the grace of God for forgiveness just as we do. But the “remission” or “release” of Hebrews 9:22 is not just of the covenant. The implementation of the first covenant with Moses took place after the Israelite people had been delivered and redeemed from captivity in Egypt. From a purely legal standpoint, they were runaway slaves. And according to the laws of slavery, as long as a slave is still living and has not yet been set free, the slave is still a slave, even if they run away. So the redemption enacted as part of the Mosaic covenant was the redemption of the slaves from Egypt. The death of the calves and goats symbolized the death of the Israelite people to their former life of slavery in Egypt. Through the Mosaic covenant, the people of Israel died to their old identification as slaves to the household of Pharaoh (i.e., Egypt), and were raised again to a new identification as members of the household of God. This is why the water and the blood was sprinkled not just on the book of the covenant, but also on all the people (Hebrews 9:19). They were dying to their past and were being born again into a new family. As members of this new family, they had new household rules to live by, which were enumerated in the Mosaic covenant. All of this together helps us understand the discussion in Hebrews 10 that follows about how the New Covenant, which was enacted through the death of Jesus, is far superior in all ways to the Old Covenant which was enacted through the blood of animals. This also helps explain why Hebrews 10 talks about sin so much. Though we have seen that Hebrews 9:22 is not talking about the forgiveness of sins, we often get confused about the rest of Hebrews 9 and on into Hebrews 10 because there are many references to the sacrifice or offerings of Jesus Christ for our sins. The best way to understand this is to remember what we have learned from Hebrews 9:16-22 about why the blood of the calves and goats was sprinkled over tabernacle and its instruments, along with the book of the covenant and the people, on the day the Mosaic Covenant was instituted among them. The blood was to inaugurate the covenant and indicate to the people that they had been set free from slavery. All of this is exactly the same with the death of Jesus. Jesus did not die to rescue us from the wrath of God. Nor did Jesus die to secure for us the forgiveness of sins. God has always freely forgiven people of their sins. No, the death of Jesus on the cross was to inaugurate the new covenant of God with the entire world, and to indicate to all people that we were no longer slaves to sin. That second point is critical. Jesus did not die for God because of sin. Jesus died for sin. God’s holiness did not demand that Jesus be put to death. No, it was the devil that demanded death and blood (cf. Hebrews 2:14-15). Sin was the certificate of ownership which the devil held over the heads of humanity. By dying, Jesus cancelled this debt of sin so that the devil could no longer have any claim upon us. This happened because just as all sinned in Adam, and so became slaves to death and the devil, so all died and were raised to new life in Jesus, and so were liberated and redeemed from our slavery to death and the devil. Just as the Israelites in the wilderness died to Pharaoh, and were raised to new life in the family of God, so also, all people in Jesus died to sin, death, and devil, and were raised to new life in the family of God. This is the basic meaning of the discussion in Hebrews 10 about the sacrifice of Jesus for sin. But the discussion goes beyond this as well. The author of Hebrews intentionally subverts the sacrificial elements of the Mosaic covenant by transitioning away from images of blood and death, and writing instead about offerings and purification. Let just a few of these be noted. Following immediately after Hebrews 9:22, we read that Jesus also purified the heavenly sanctuary. And just as the first ceremony indicated the inauguration of the Mosaic covenant and the death of the people to their past enslavement to Egypt, so also, the actions of Jesus indicated the inauguration of the New Covenant and the death of the people to their enslavement to sin. In Hebrews 10:1-4, the author emphasizes the complete failure of the Mosaic law to do anything about sin. In Hebrews 10:2, we are informed that if the law could have taken away sin, the people would have stopped making sacrifices, for they would have had no more consciousness of sins. Yet the sacrifices themselves are a reminder of sins, even though they do nothing about the sins. Then in Hebrews 10:5-10, the author indicates his understanding that the sacrificial system was never intended to take away sins, and that God Himself never wanted such sacrifices or took any pleasure in them. Again, God is a God of life; not death. What God did want, however, was a life lived in obedience to the will of God, which is exactly the “offering” which Jesus brought. This understanding of “offering” and “sacrifice” as the life of Jesus rather than His death is critical for the rest of the chapter. While it is true that Jesus died a bloody and gruesome death on the cross, it is critical to recognize that the death of Jesus on the cross was for sin, while the life of Jesus was for God. God did not want nor desire the death of Jesus. God always and only wants life. Building upon this truth, Hebrews 10:11-18 moves on to compare and contrast the covenant enacted by Moses and the covenant enacted by Jesus Christ. After explaining that the sacrifices and offerings of the priests could never do anything about sins, Hebrews 10:12-13 shows that Jesus not only dealt with sin once and for all through His death, but actually perfected forever those who are in Him. The author then makes the absolutely shocking statement that God (and Moses) knew from the very beginning that the Law of Moses was obsolete and useless for doing anything about sin. The author of Hebrews points at what the Holy Spirit said through the prophet Jeremiah about the new covenant (Jer 31:33-34), and then ties this together with the word “remission” (aphesis) which was used in Hebrews 9:22. In so doing, the author indicates the truth that Moses knew from the very beginning that his law was temporary, obsolete, and ineffective for doing anything about sin. In Exodus 20, after God had given the 10 Commandments, God wanted to speak to the people of Israel Himself. But they were too scared of God, and declared that they would rather have Moses to speak to God for them (Exod 20:19). What follows in Exodus 21 through most of the rest of the Pentateuch is called “the Mosaic Law” for good reason. It was how Moses believed God wanted the people of Israel to live out the 10 commandments. But forty years later, Moses saw that what he had given to the people was a complete failure. He had been with them for forty years (Deut 29:5), and knew that the law would be completely ineffective in helping them follow God and live rightly (cf. Deut 31:16-21). John Sailhamer has argued that one of the central points of the Pentateuch is to show that the law was ineffective, obsolete, and not what God had wanted for His people at all. God wanted faith, humility, mercy, and righteousness, which are the things the law could not provide. But Jesus provided what the law could not, which brings us back to Hebrews 10. Jesus lived the way God intended, and in so doing, accomplished several things. First, Jesus crucified the law of sin and death (Hebrews 9:26-28). Second, Jesus revealed what God had always wanted for His people (Hebrews 10:16-17). Third, Jesus revealed how God’s people could live for love and life instead of sin and death (Hebrews 10:20-23). In Jesus, we learn that God no longer wants death, and He never did. God always and only wants life. 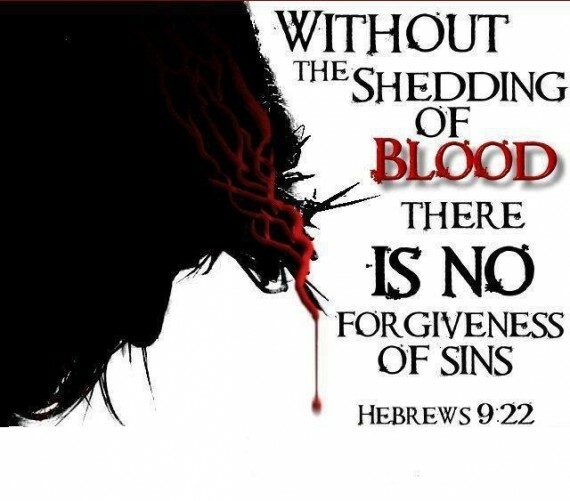 Hopefully, all this provides a deeper understanding of what Hebrews 9:22 is actually teaching (and not teaching) about the shedding of blood and the forgiveness of sins. God always forgives sins freely. He does not need or want blood. Note: This article by Brad Jersak on Hebrews 9:22 is also helpful. The cross of Jesus is CENTRAL to everything! Fill out the form below to receive several emails from me about the death and resurrection of Jesus. I’ve been writing about this in a book I one day hope to publish. People are gonna think I’m ripping u off! If all of that was unnecessary then why the cross to begin with? By the death and resurrection Jesus defeated sin and death so we could have eternal life. Had a chance to read entire article so I deleted previous comment. Thanks! Hard to get these posts in at work! Did it sort of answer your question? Yes it did thanks. The atonement of Christ has been the linchpin of Christianity. I appreciate fresh insights. Some things are difficult to wrestle with to say the least. Wesley, It’s not original with me either. This is sort of a collection of points I have heard from Greg Boyd, Brad Jersak, Raborn Johnson and numerous others on similar topics. Greg Boyd’s work is phenomenal, as is Bruxy Cavey’s. And I truly enjoyed this piece, thank you for writing it! It will be helpful with friends who yet see the cross from the Penal Substitution Viewpoint; I pray their hearts are ready and open to hear! Thanks mate. Just great. It’s great to have clear simple teaching. So often I get lost when people start trying to show what you always thought about the bible was wrong. But this made perfect sense. I’ve got 5 translations of 9:22 in my house. So is “SIN” actually in the original? James, Thanks. Yes, the words “of sins” is not in the original Greek anywhere. The last word is aphesis, which is translated as “forgiveness” or “remission.” I talk a bit more about aphesis in the longer post. People probably get the idea of sins by looking down to 9:26 or back to 9:15. But again, the 9:15 word isn’t the normal word for “sin,” and the 9:26 is talking about what the priests did. I just re read this properly, so much to process I will be in it for weeks. What really surprised me was the statement that the OT sacrifices were only for unintentional sins. Thats completely new to me. 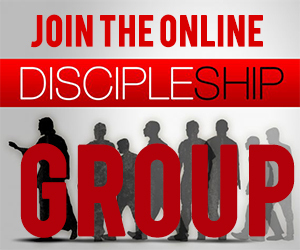 A friend of mine–strong believer & godly man–referred me to this post and your site. Lots to process here. I really appreciate your authenticity and passion and focus on God & His word. We need more of that in our world! I do not agree with your conclusion in this post(and others) that Jesus’ death did not satisfy the wrath of God. As it took you pages and pages of writing to develop your conclusion on this matter, I don’t believe I could give mine in a short post (I probably have nothing new to say that you haven’t read already)! Suffice for now is to say this: it is my opinion that 1) Scripture is clear that God’s wrath and holiness demanded a sin payment, 2) as I read your articles you seem to be trying to use every logical, illustrative, and theological trick to convince yourself it’s not true, but it’s like you’re losing the argument with yourself, 3) I really enjoyed that you broadened the truth of salvation through Jesus past justification (which many fundamentals focus on) to include redemption, sanctification, covenant marriage, adoption, etc. Just as you do, I believe that this is more than an intellectual exercise, but that believing in the truth of God’s wrath–as well as His love, mercy, grace, etc.–is crucial in living a godly, worship-filled life. I know that you don’t agree with me, but I believe Scripture is clear that this doctrine of God’s holiness and righteousness breeds a depth and nuance of respect and honour of God that we would otherwise miss (Acts 5, Numbers 16, Ezekiel 28). Thanks for listening to my rant and rave, and I welcome any dialogue. As we all have limited time, I may not respond promptly, but I will chew on anything that’s written, and then respond. May we grow closer to the Lord together! Jeremy I found your article insightful and has given me a lot to think about. Certainly challenges all my past theological teaching and upbringing. Much of it makes sense, what I struggle with is comparing what you allude to in Scripture with Christ in the last supper talking about the bread and the wine to his disciples. Wine and sin…bread broken body. Any insights Jeremy on this is appreciated. Yes, I was just thinking about this over the past week or so. I take the symbolism in the Last Supper to show us that in His death, Jesus was revealing that scapegoating death and bloodshed is the basic human sin and is unnecessary for the forgiveness of sins. His body and blood are signs of the new covenant, that death and blood are not what God wants or desires. In his book, Saved from Sacrifice: A Theology of the Cross, Mark Heim writes that “Jesus’ new covenant in his blood is an end to the justification for shedding blood.” That is basically what I am also trying to say, but in a way that more clearly explains what I *think* he might be saying. This article is ridiculous. Not only does it twist the author of Hebrews’ main point, but it denies it. Penal Substutionary Atonement is at the very heart of the Gospel (Isa. 53, rom. 3, 2 Cor. 5:21, Gal. 3, 1 Peter 2-3). To deny this crucial component of the Gospel is to deny the very Gospel itself. Sin is a big deal to God (as seen in pretty much any book of the Bible). Faith in the death and resurrection of Jesus is the means by which sin is atoned for and we are reconciled to the Father. I agree with your answer and would like for you to direct me to the sources that helped you to understand the Penal Substitutionary atonement for all human sins so I can learn more of what you know or believe. Who or what persons and books taught you this? Because I feel your sources can help me on questions like: was it 3 or 6 hours the land turn dark? And the land was all of the Country Israel or the whole Earth when the Divine Father Separates Himself from The Dive Word Jesus. On Sunday when you eat the Bread without any rising ingredient and fruit of the Vine what is your understanding of His shed Blood? Why was that necessary to His Father that the work of His Body (the true Bread of Life) also must release the Blood in it? His Blood from it? There would be no forgiveness of Sins if this didn’t happen. What is your understanding of this? He must give up His inner Life too? He was dead but to be assured of that a roman soldier threw a spear at His body in which both water and blood poured out. Was this to prove His Death and/or to prove His Humanity matching our own because He has blood in Him Too? His Human Body would be Changed by His Father in Heaven into Immortality. But His Blood being shed is what makes this possible for us Too: Immorality. As High Priest He offers His Blood to the Father for the redemption of human souls. Is His Blood a form of a Will not written on paper that testifies to His Body’s Death that after the death of the testator His wealth is distributed to His beneficiaries. The World’s People are the Beneficiaries of Christ Immortality. Whether the requirement of blood atonement is a myth or not is the central argument in understanding whether God has a wrathful or loving nature. It is probably my biggest stumbling block in moving forward in my faith and understanding of the point of Jesus’ sacrifice. Is sin really such a “big deal” that it required the sacrifice of Jesus to cancel it out? Or is it the condemnation of ourselves and amongst each other that is the “big deal” that Jesus came to put an end to? In other words, did Jesus come to wash away the sin or to end the real condemnation that comes from the illusion of payment needed for sin? I hope you respond to Kris’ Oct 4 comment when you get a chance. Sin is a big deal. You only have to look at Genesis to see that man’s disobedience to God was what caused Adam and Eve to be banned from the garden and in need of redemption. While this fellow has made some interesting, thought-provoking points, I believe that any argument can run amok if we lose sight of the full counsel of God on the subject. I could expound for hours, but alas I have to go for now. I will have to read this article over and over again to fully get the logic you are saying,however I concur with Janis on disagreeing with your assertion that son is not a big deal to God. That statement contrasts so much of the Bible view point. I like your confidence and your sense of humour but going by what JESUS CHRIST himself said in MATTHEW 26:28, you are very wrong. God made the world and has the right to call the shots & if He says blood is required for forgiveness, it’s His call & He has His reasons. To be fair to Jeremy and the proposition he has put forward one needs to read his book on the atonement of God. It stands or falls by what Gods word is really saying. 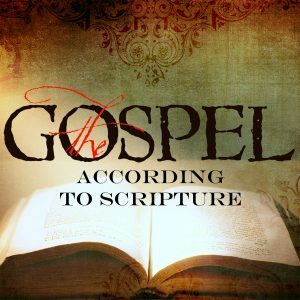 In this book the whole issue is addressed and provides much more insight from scripture. I have always believed in the penal version of the atonement which unfrotunately came out of the reformation (mainly calvin) look at his life and see how many people died in Geneva during his reign…. blood and punishment. I now believe that is not what the early church adopted. They understood that murder, punishment and rebellion was always in our hearts and that colours much of our thinking. Especially when we think how God will treat us (like how we can treat each other). I am a firm believer in going back to the original hebrew and greek for meaning as our constrained english is not a good lens of what God is really saying. Furthermore if Jesus is God then we must view scritpure through the lens of Christ. ie His teaching, his life and his actions which flowed through to Apostles and the early church. eg we see wrath of God as a angry God, but in the greek it can mean something very different. 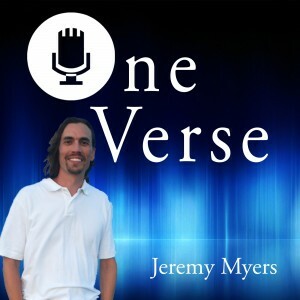 Jeremy addresses that in his book from scripture. If God was not angry with us but rather deeply distressed over the consequences of sin on us and others it puts a whole new view on things. I was always told out of scripture that its trueth will set you free. I have found that to be very accurate. Thanks, Grahame! Yes, a more detailed explanation is found in the book. Glad you read it and found it helpful! 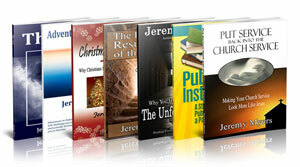 Jeremy it changed my life and the life of a number of Christian friends. Few books have had that effect. Be encouraged and dont stop please. Just discovered your site and was so interested to read the same questions I have recently been asking. I’m looking forward to re-reading Hebrews in the light of the shedding of blood being more about how a Will is put into effect and about the tabernacle, but it seems to me that that just puts the puzzle (why blood) up one more layer. In other words, the question is no longer “Why does forgiveness require blood?” but “Why does enacting God’s will (or any will) require blood/death?” I won’t do to say that’s what wills are, because that begs of the question of why does God choose a vehicle that requires death to represent His actions. Also, I may disagree that the Israelites were runaway slaves. It seems to me that God took a lot of time through Moses and Aaron to get Pharaoh’s permission. The fact that Pharoah reneged only caused more consequences to fall on the Egyptians, but could not change the fact that he most certainly released them. Lastly, for now, I think your argument about deliverance from slavery in Egypt needs to include the blood of the Passover. Before the covenant was enacted with animals symbolizing God’s death, the blood of the Passover had already been applied to the house of Israel. How does that fit with your schema. In Genesis blood was not involved until Adam and Eve needed clothes to wear because of their feelings of shame through the knowledge of Evil that God made them clothing through animal skins meaning death entered into the context because of Evil. Without the knowledge of Evil they would have remained naked and unashamed. Why does God’s Will or to enact something require Blood? or Why does it require blood after the Evil entered into what He made and called Very Good? Universe, Earth. Evil caused Adam and Eve to die instead of living and never to die. Evil=Sin. produces, causes death. There has to be another Adam since the first failed. The first just had to eat from the right tree and live forever. No blood involved. This Last Adam because there will be no other Adam after Him will secure eternity through His Blood Shed. Thanks for your response (especially since no one else did). While I don’t disagree with anything you said, I don’t see how it addresses the question of why there is no remission of sin without blood, which is what Hebrews states. This website posits that it was not about sacrifice but about a Will (as in last will and testament), which is another analogy used by the author of Hebrews. This does not explain that Christ was the lamb slain before the foundation of the world, nor the fact that the analogy of a last will and testament requires a death which in Jesus’ case certainly involved the shedding of blood. So the question remains, why does the remission of sin require blood. Hebrews was quoting the Old Testament law which stated there was no remission of sins without the shedding of blood. This wasn’t a new concept, this was a law that God commanded Israel in regards to sacrifice. God himself said it is the lifeblood that makes atonement (Leviticus 17:11). God said the life of the creature is in the blood, so God absolutely did require life for sin. This was God’s curse from the very beginning, cursed unto sin and death. But it is through the death and resurrection of Jesus Christ that the payment of sins is met. A lamb slain without spot or wrinkle from the foundation of the world. I re-read your initial comment and what I would like to add is that death ultimately is the only way we could have been redeemed. Without death and resurrection we would have been separated from God forever. The scriptures say all of creation was subjected unto futility against its well, and it eagerly waits for the sons of God to be revealed. This is about redemption, without death, without being born again into newness of life, we would never have had a way to be with God because God is perfectly righteous and without sin. Now God didn’t have to give Adam and Eve a law at all, but God desired to glorify himself. Without the law we would have never sinned, but without having sinned we would never have grasped mercy. Jesus said him who is forgiven little, loves little and the scriptures say God is love. And now having seen clearly the work of God from the very beginning through his Son we can know what love is, we can know God in a way even the angels did not. ok I’m not sure exactly what you are saying, but it sound like heresy to me. If you say God never ‘wanted blood’ ok that was not the original intent of his perfect creation, but because of sin there must be blood according to all these scriptures that speak of the blood. 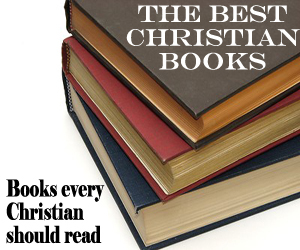 yes, please read all of Hebrews, and see in 9 and 10, more in context, of why Jesus had to shed his blood to the death. Christ had offered for all time A SINGLE SACRIFICE FOR SINS, he sat down at the right hand of God, waiting from that time until his enemies should be made a footstool for his feet. For BY A SINGLE OFFERING he has perfected for all time those who are being sanctified. I do not nullify the grace of God, for if righteousness were through the law, then CHRIST DIED FOR NO PURPOSE. O foolish Galatians! Who has bewitched you? It was before your eyes that Jesus Christ was PUBLICLY PORTRAYED AS CRUCIFIED. And he said to me, “These are the ones coming out of the great tribulation. They have washed their robes and made them white in THE BLOOD OF THE LAMB. John, it is probably not a good idea to call someone a heretic if you don’t know what they are saying…. but regardless, you bring up a point that others have stated as well. There are numerous other verses in the Bible that talk about the blood of Jesus. Those other texts require some explanation as well. I will write a blog post which does so. Stay tuned! Amen, John S., don’t forget Isaiah 53 too! Jeremy is a heretic in your mind, because you mistakingly think that he is speaking lightly and disrespectfuly of Jesus death. I think you are missing a big picture of God’s love. Few years ago I would have agreed with you 100%. Now I focus more on God’s love and am beginning to look at the same facts from perspective of love, not vengeance and retribution. It is not that God required blood – it is that we sinners wouldn’t approach Him without some compensation provided from our part for all our wrongdoings (and that compensation for serious crimes has to be, in our mind, a serious one: what is more serious than blood (life)of an innocent creature, in exchange for all our dirt and death we see in ourselves).But that is sinners perspective! Law is „not for the righteous“!! God is righteous! Law does not satisfy Him! Also, guilty people tend to run (away from God, not to Him). Throughout the OT blood seemed to be, in sinners mind, an agent to clear their sinners’ conscience, at least outwardly and temporarily. Blood of bulls and goats was actually ineffective in that sense, although it did give to religious minds sense of relief. The sense of need to pay the debt is simply ingrained in sinful humanity! (look at the 2nd debtor from Jesus’ story, the one who wouldn’t forgive the debt of his fellow man. But the owner forgave both, freely!). But blood of Jesus is effective. Why? NOT because God wouldn’t accept us without it, but because WE wouldn’t dare to approach Him without clear conscience or some compensation on our part. Blood is a concession to us sinners, not requirement of God! But how does it clear our conscience? Is it literal blood bath?! I believe not. I believe it „clears our conscience“ when we recognize the enormous love of God for us sinners (to the extent that He willingly and unconditionally gave His life for us) that such a love melts and influences our heart, making disappear our internal sense of guilt. It’s like our eyes get opened to the mercy that doesn’t require anything from us. Confronted with such enormous offer of love, our conscience gets unburdened, not because it is literaly washed by Christ’s blood, but figuratively: the realization that innocent blood of God’s Son was shed FOR ME, unconditionally, makes me aware of God’s love, makes me feel loved and accepted in God’s eyes. Again, NOT because I wouldn’t be accepted before God without blood – but without blood, without that extreme measure of sacrifice, it is ME, still sinner, who obviously WOULDN’T be ABLE to SEE that I am accepted!! The enormity of His gift, the extreme measure He took to show me how He loves me – cannot but open my eyes,heart and mind, which results in cleaning my conscience of all burdens and makes me run to God, not from Him. But our flesh and poisoned mind seems to prefer to embark on religious path, that’s the case with churchianity across the world. We think as if God, potentialy, puts another debt on our account, in form of Jesus sacrifice. Because WE religiously think like this: IF someone DOESN’T accept Christ – uuups – God just added to their enormous debt another debt, a HUUUGE one, the debt of Jesus blood, which makes them even more guilty and more burdened with SIN! But no. It’s a wrong view of God! We think of God’s free offer (forgiveness) as a potential debt (in case we refuse it)! Wrong! God is not a blackmailer. In psychology and psychiatrics it is called PROJECTIOn. We attribute to God our thinking and attitudes. Wrong. Jesus’ blood cleans our conscience in sense that it convinces us of love that does not condemn us. Does not. Period. God does not add to our account of guilt (in case we refuse Him). Lol, as if I can’t read, “Without the shedding of blood there is no remission”, and cannot see the imputation of sin to Christ and the imputation of righteousness to faith. God clearly taught this from the beginning, when He slew an animal to cover Adam and Eve, when He received Abel’s sacrifice and instituted the Old Covenant, dripping with blood in Exodus and Leviticus. Christ died a substitute, a ransom, a curse. He bore the wrath of God, so that God could punish sin and forgive at the same time, raising Him from the dead as Lord. He is worthless if He doesn’t redeem, and if sin doesn’t need to be punished, then God has played the fool in giving His Son to die. I’m surprised to see otherwise orthodox men hold to teaching that violates the entire teaching of Hebrews. “This is the new testament in my blood”, “Drink you all of it”. I can drop a couple of proof texts with no explanation too! 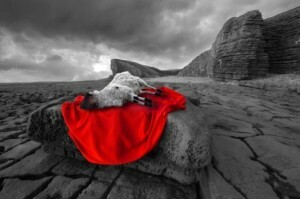 Hebrews 10:4 – It is impossible for the blood of bulls and goats to take away sins. Jeremiah 7:22 – For in the day that I brought them out of the land of Egypt, I did not speak to your fathers or command them concerning burnt offerings and sacrifices. Context is everything. By the way, Jeremy isn’t arguing that blood doesn’t play a role in redemption (Christus Victor is a good example of an atonement theory that argues that blood plays an important role), but that blood is required to forgive. Ironically, the passage in Colossians you gave (in vs. 13) is used to argue for Christus Victor, and the “through his blood,” in that verse isn’t present in the most reliable ancient manuscripts…but that’s besides the point. In Ephesians 1:7 I will highlight “according to the riches of his grace.” If he receives His payment of blood, is it forgiveness? If I pay off a credit card with another credit card, am I debt-free? No. It takes the release of a debt for it to be forgiveness, not the payment of it. The Law did not solve the problem. 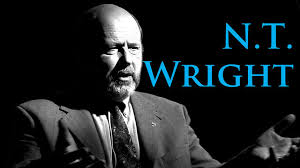 Ergo, Jesus had to 1) come to show what works , 2) give new commands centered on love of God the Father and Jesus the Son of God and 3) establish a new covenant as the ultimate solution to what to do about sin. Jesus is the solution and all that He had done and shown us is the truth. Sacrifice and blood shed stuff aside, why in first place did God go so angry on Adam and Eve? Disobedience to God’s word is a sin of course, which we know now because Adam and Eve ate the fruit of the tree of knowledge of good and evil and from them we got this so called knowledge. But before eating that fruit neither do they know that it’s wrong to disobey God’s word. For they had no knowledge of good and evil. Now the point is why didn’t God give His free forgiveness to them considering this point that they had no knowledge on that, so that all these sins,laws stuff, sacrifices and blood shed wouldn’t have been now. Please clear this doubt of mine which always troubles me. When our children disobey, how do we feel? We didn’t give our kids a reason, it was just do what you are told. God was angry maybe because of what Jesus would have to go through. The shedding of blood was necessary. We don’t understand all of God’s reasons but it sure is made clear in the scriptures that Jesus is the only way into heaven. Did you ever stop to think that the shedding of blood was for the sinner and not God. That man would not settle for anything less. All God ask is to believe that Jesus died for us. I think it is something man needed and not God. Whatever God wants its not up to us to say one way or the other. Without the shedding of blood there is is no forgiveness. Yes this is true. The idea being that God demands justice, if He didn’t, meaning there is no penalty for sin then God is not being faithful to Himself and we know this isn’t so. So… For God to be just, exacting punishment for sin by the shedding blood I.e. Death, has to occur. Since God wants people to be with Him and all people’s sin must be punished to be be consistent with Himself, justice. The only way to do that was for He, Himself, through Jesus to pay the price demanded, death. Since the price was paid at the cross and God has the power over death, He is able to raise Jesus from the dead now having paid the price for our sin Himself. God is now able to offer mercy for our sin knowing that Justice has been served by Jesus death. And so God can forgive us of our sins because the penalty of sin has been exacted. There will be a penalty for sin, either we pay the penalty ourselves or we depend on Jesus to pay it in our stead. The choice is ours of course. You are correct that the blood of Christ forgives sins and Hebrews 9:22 makes a pound. The author is clearly in error. As Hebrew 9:22 indicates; Without the shedding of the blood (which is CHRIST’S blood), there is no forgiveness and make no mistake about it. Plus Romans 5:9 clearly states that we are saved from the wrath of God through Him, period. And you are right about the penalty of sin. Either we choose to pay it ourselves which is the hard way or we depend on Jesus to pay it for us which is the easy way and you are right it is our choice. Plus, Jesus’ blood is sufficient enough for me, no matter how often I make mistake. ‘For the life of the flesh is in the blood, and I have given it to you on the altar to make atonement for your souls; for it is the blood by reason of the life that makes atonement (I do get the inference that bringing other things up , opens up a whole new can of worms every time, so to speak); on the other hand, it is true today that God does not want our blood. Why did God set up a sacrificial system if He didn’t want blood to begin with is another long course..it’s all types of Christ summed up..if the argument on the other hand is people talking about a blood thirsty God, then points well taken..to me (only) it’s just the way it’s been phrased in the writing that was disconcerting. (and I did see what was written in regard to the word ‘forgiveness’ in the writing, though it never mentions atonement, justification, or reconciliation. Exactly. In the Old Testament; the sprinkling of the blood did not wipe out sin. It just delayed it for a year. 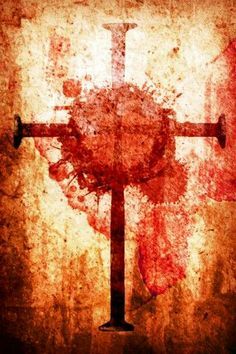 With Christs blood that was shed for us that pays for our forgiveness. just because pagans sacrifice to false gods doesn’t mean the true God is no better for requiring blood shed. Go back to Abraham and his deep sleep, and the fact that God made clothes for Adam and Eve, pretty sure it was animal hide, and God didn’t crochet a cotton outfit. Perhaps this first covering put the idea into man’s head, but it still originates from an action God took because of sin. additionally, if anything the pagans stole the idea from Israel and it perverted into other things, like children or chickens to appease a god. fyi, please friend me so I can comment on live streams. yes, now I can comment here. I’ll try the live feed next time. The blood of Jesus is central to how I understand the biblical gospel, so I definitely don’t have a bloodless gospel. if I understand correctly, the blood of bulls and goats covered but never completely eliminated sin. Because Jesus is perfect, His one time death, perfect blood shed not only eliminates sin from the believer completely, but also ended forever the ritual of sacrifices. Deby Crabtree Simpson I think It’s Romans 3:25 that says God set forth a propitiation by faith in his blood. Cain’s sacrifice was rejected Abel’s was not ..blood. Esau was rejected…no blood. Abraham…blood. Adam and Eve….blood. Issac…a lamb…blood Passover…a lamb….blood. Judgement poured out on all those who didn’t have the blood. Before the Law of Moses men couldn’t come to God without a blood sacrifice. Under the O.T. it’s all about the blood atonement. Lev 4 the man puts his hand on the head of the lamb, slits its throat, the priest catches the blood in a cup and pours it on the altar. The entire OT, no one can come to God without a blood sacrifice. In the NT Jesus is our blood sacrifice. We cannot come to God any way but through the blood of Jesus. Jesus was even sweating blood in the garden. That’s why Paul preached Christ crucified. All through the bible blood was a foreshadowing of Jesus on the cross and his ultimate sacrifice to end all sacrifices. I haven’t read everything on this but I will when I have more time. Been in church all my life. I believe and have a relationship with Jesus and the Father. But I had this thought. Having to have the shedding of blood for salvation seems so barbaric. Why would God demand this? When He said we should not kill. Which is easier: to say, ‘Your sins are forgiven,’ or to say, ‘Get up and walk?’ 6But so that you may know that the Son of Man has authority on earth to forgive sins. Yeshua’s blood was not required to forgive sin. Heaven and Earth haven’t passed away so the Torah (law) isn’t obsolete. Its this law that will be written on the hearts. He didnt say “hey they are abolished or obsolete”. He summarized them into 2 categories. The 1st 4 commandments are about loving YeHoVaH and the next six people. Very good points, and texts, Lee. Thank you! I can see how your answer would satisfy people who believe. But this is one reason among many for why I doubt the existence of the biblical god. The doctrine is an absurdity as I cannot believe a wise loving god would not understand how such an absurd idea would cause doubt for the rest of us living on Earth, nearly 70 percent of the current population. For those of us unconvinced that Jesus even existed, the belief that we will be punished for being honest in our doubt is very absurd. If it was true, then why would the blood of Christ not cover all humanity’s sins regardless of belief? Why not universal salvation especially if eternal hell was real. Mark there is two issues here. Firstly history is a great teacher and therefore when you consider the historic writings, eye witness accounts of both friend and foes of Jesus, there is more evidence of his existence than there is for Julius Caesar. About 25 yrs ago the Supreme court of the US was convened with a defense and persecution team and a jury of non believers to consider the facts of this case. Did he exist, die on cross and was he the son of God. All the evidence was considered and at the end of the trial, the jury found it was all true, and a number of them converted to Christianity. Secondly Jesus dying on the cross was for everyone and his sacrifice is for everyone. But its a gift. It can be accepted or rejected through a persons free will. God provides uncontrolling love to all and the gift of free will which he never treads on. Its there if you want it. The issue of sacrifice is NOT just shedding of blood, but DEATH; specifically shed blood unto death at the hands of another; and in the form of a punishment; and that punishment of an innocent being without blemish. for an inheritance. And “an eye for an eye” does not suffice because the sacrifice is blameless. And so far, the answer of “why blood?” has not yet been answered. There is something very unique and different about the physical Blood of Jesus. Not just His Blood but the Blood of His Death. You touched upon “life is in the blood,” but did not go far enough but should’ve because therein lies the key to the answer. Keep seeking and ye shall find! But not just blood, the question should really be WHY INNOCENT BLOOD? You, sir, are off your rocker. You should read 1 John 1:7 and leave the theological backflips where they belong… the garbage. You, sir, should think before you judge. I obviously have read 1 John 1:7. I have even studied it in the Greek and taught it dozens of times to various audiences. I’ve written on it as well. So rather than judge, you should recognize that I have a different way of understanding 1 John 1:7, and maybe seek to understand what it is.